I have always thought that Nora Roberts was a talented writer. If I am looking for a romance, then it is her that I will turn to. Year One is so different from what she normally writes so I was not sure what to expect. Her writing in Year One is just as readable and fast-paced as I have come to expect from her! There are a lot of characters in this story so it can be difficult to keep track of them all. I liked the characters, but because there were so many, I never had the chance to become truly connected to them. It was interesting to read their stories and what the were doing both before and after the sickness spread. I loved seeing how their stories eventually connected! The plot of Year One is what truly won me over! It was a unique take on the apocalypse and I really enjoyed the supernatural elements. I enjoy reading about characters who are on a journey and I definitely got that in this book. There is so much going on and that makes it so much fun to read. It is a big book but I could not put it down and finished it quickly. I can’t wait for the next book in the series! This is the first book that I have read by Matt Haig and I really enjoyed his writing style. It can be pretty flowery but not in a way that is distracting or goes too far. I am now convinced that I need to read his book, The Humans, because I have heard amazing this about it. The characters were just okay for me. They were not memorable and I was not particularly invested in them. To be honest, I found the main character to be quite whiny and negative! It was draining to read about at times! I did like some of the side characters that he met throughout time. It was really interesting to see Tom meet William Shakespeare and F. Scott Fitzgerald! I was hoping that Matt Haig would do something different with time travel but I did not find the story to be particularity original. There was a lot of potential but I never thought it quite reached it! I much preferred the chapters that had to do with Tom’s past rather than the chapters that focused on the present. Overall, How to Stop Time was enjoyable but it was nothing new! 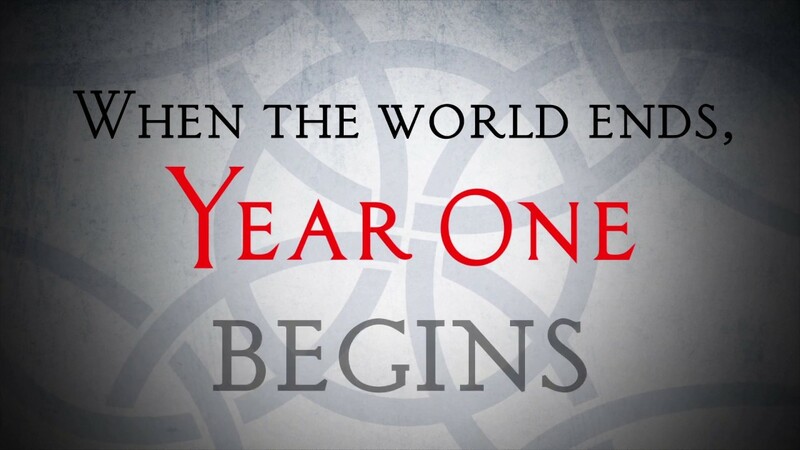 Have you read Year One or How to Stop Time? I would love to know what you thought about them! It is funny because I was unsure about how I would feel about Year One and I loved it, and I thought I would love How to Stop Time and thought it was just okay! Year One sounds interesting. I have read a couple of Nora Roberts books and this one sounds quite different from the ones I read. It is completely different! It really proved to me what a great writer she is. I love that she is experimenting with new genres! If I come across it at a bargain price I will have to get it. Definitely! I have seen it at some used bookstores already so hopefully you can get your hands on a copy soon! I have been debating whether to pick up Year One. It sounds like you liked it? I may have to give it a shot, thanks! I really did like it! It is such a fun and fast paced book! I haven’t read either, but I have How To Stop Time on my shelf and The Humans as well. I really should read at least one of them pretty soon! I am really interested in The Humans. I’ve heard amazing things! I have listened to How To Stop Time on BBC Radio Book at Bedtime and I quite liked it but the narrator did a really great job with it to make it so captivating. I don’t read historical novels but I still liked it. It was free so I thought I’d give it a try and wasn’t disappointed but maybe like you said it could have gotten a bit more emotional yet and deeper. Great review! Thank you! I would be interested in listening to the audiobook because maybe it translates better. I heard it was being made in to a movie and I would definitely watch it! Year One sounds really interesting and entertaining 😀 Shame How to stop time felt like nothing new and the characters were only okay. Awesome reviews! Thank you! Year One was so fun to read! I am sad that How to Stop Time disappointed me but I am still excited for the movie! Exactly what I was waiting for! I thought there would be some sort of twist that came out of nowhere but I found it all pretty predictable. I loved The Humans! From what I’ve heard I think it may be better than How to Stop Time. That is what I have heard as well! I am excited to read it!